Phoebe: Copper Mary Jane with chocolate elastic band and faux fur trim. $50. Every year for Christmas I like to pick out the perfect pair of shoes for the girls. The older they get the harder I feel like it is to find shoes I like. Eleven Collection has become a go-to for me. The girls insist on wearing them all the time, thinking they are some of the most comfortable shoes they have. They're stylish, they hold up and wear well. Some of the best shoes I've found. Aubin: chocolate brown loafer with peanut butter zig-zag accents. $45. They have multiple styles for girls and boys in sizes ranging from 9 to 3. Made from high quality leather and naturally water resistant (a must around here) you can be sure they won't fall apart before your child outgrows them. Today one lucky winner can wrap up a pair and put it under their tree. Just tell me which pair you would choose. Good Luck and Thank You Eleven Collection!! I would definitely love to win a pair for my god-daughter in San Diego! Those are so cute! I can't stand all the shoes with the cartoons on them, and these are great. My favorite are the "Trevor" for boys. Love them! There are so many that I love. I would love to see my little girl in the silver Astrid pair. My little girl would love the Alexi pair. We are huge fans of red shoes at our house. These shoes look great! My daughter could really use the Simone boot, but I love the pink Josie shoes too. Super cute! I love the Aubin for boys - good, functional shoes are hard to find! mira is perfect for my pink princess. oooh, it'd be a toss-up between Pixie and Katina - FABulous shoes!! Oh, the girl shoes are gorgeous, but I'd have to go with the James for my little guy, who needs another option besides his beloved Converses! I am loving the Helena pair for my little girl! I would choose the Aubin shoes for my son. Oh man, these shoes are AWESOME! My daughter would die for a pair of the Luc boots. Pleeeease pick me!! Oh so darling...love the Josef for my sweet little boy. I'm in love with the Phoebe shoes! OOOH pick me! Would LOVE Phoebe (size 9)! I've been looking for cute girls shoes that are different than the "norm". I love the Kasota! My little girl is in great need of a new pair of shoes. I love the Phoebe shoes and if I won, I'd give them to my new little preemie friend Phoebe who was born at 4 pounds and is home from the hospital and growing like a weed! I love the little orange Eleanors. Scotia would rock them! My daughter and I fight daily over what shoes she's going to wear (she'd live in flip-flops if she could). Hopefully this would stop the fighting, and I'd let her choose which pair, but if I had my say I'd pick the Astrid. Would love the silver Astrid for my daughter - so cute and goes with everything from dresses to jeans! I'd love the Laura for my daughter, or the Oslo for my son. So cute! I would love to have the "james" for my son to wear to churchin. I really love the phoebe or the astrid! My girls would love the Bridgets. We would love teh Josie shoes! my son needs the "OSLO"
what a great site! thanks for sharing. i would love to get the alexi for my little girl!! they are all so cute! but i would have to choose between the josef and ocean. i love them both! I would love to have to have the Kasota shoes for my little girl. oh, those Aubins are gorgeous!!!!!! I love the "laura" shoe - very pretty. Fingers crossed. love the josef! really really cute! I love Helena and Kai! I love these shoes and so does my daughter. I'd get her the Kasota- she needs some new pink shoes. I'm loving the Iggy shoes for boys! Love Love Love Eleven shoes!! It would be between the Sylvie and Alexi. My little girl would look adorable in the Alexi pair! Tough to choose, so many cute options - but I think I would pick the Aubin's for my little son Holden! Katinas would look fabulous on my daughter's feet. I love the Iggy for my boy, super cute!! I would pick the Caper. So handsome! I love the josie, My little girl would love them. I'd pick the Astrid shoes! Super cute. I love the Trevor shoes. Thanks! love the dublins for my precocious toddler. these handsome boots he couldn't take off for sure. oh, they're all so pretty! i think "silvie" would be my pick for my daughter! how exciting! ooh i would love for my little one to find the "Nora" boots nder teh tree! the "phoebe" mary jane's are to-die-for cute! thanks for the chance! I'd love the Josef for boys. Thanks, Maureen (jnomaxx at hotmail dot com). Aubin for my little guy! What a fabulous giveaway! The Laura girls shoes are so cute! I love the "pixie" style! I love the Luc shoes. So cute! Tough choice to pick just one but I think I love the Kosta cute little running shoe looking ones. So crazy fun. My little gal would totally dig them! Oh, I have lots of favorites. But, I also have a daughter who is obsessed witht he color Orange, so I would select the Eleanor. I would love the Kai shoes for my son! so cute! I love all things orange so the Eleanor is lovely but I also love the Alexi...I have 3 girls and one more due in May so we would LOVE new shoes. I have loved See Kai Run shoes for both my kids, but now my daughter is almost big enough for Elevens. I love the Luc boots, because I think they're unisex enough that my son could wear them as hand-me-downs. I would get the Simone boots for my little girl. So cute. I like the "Caper" for boys. They're darling. They're all so cute, but I'd choose the "Caper" pair for my little man. I love the Mira for my daughter! Those are adorable. I had never heard of them. I'm always on the look out for cute girl shoes that aren't covered with princesses, glitter, hearts etc... I don't understand why there aren't more "normal" shoes for kids out there. Andyway, I would definitely love the "Kasota" for girls. Great Shoes! I love the styles. I would choose the Maya for my little girl. Thanks! Such cute shoes, it would have to be between Sylvie and Laura. Thank you. I love the Katina style. I love the red stitching. My little girls definitely need some of these shoes! We would get some good use out of the Josies. i would love the oslo for my little boy! The Simone for my Simone! so simple and sweet. I love the Astrid! Yes I'd love to win! Those Aubin shoes would be perfect for my son's Christmas outfit. The Sylvie shoes are just darling---perfect for my daughter! I really like the Simone boots. I would love the Aubin pair for my little guy! Thank you! One of each? So hard to choose. I think my Jazz would want Astrid. I love their shoes! The Trevor style is adorable! Katina size 9 for my little girl. I love the Laura too, but I don't think they have them in her size. Either way, can't go wrong! We love eleven shoes – hard to come by where we are, but pretty much the best brand we've found to fit my older daughter's feet (strange footbed). We love the Laura and Sylvie best of all. I like Silvie shoes. They are nicer than the regular old black shoes. I'd like to win the Alexi for my little girl. Love the Phoebe, Astrid, the list goes on. I love so many of them. Ah! So cute! Love these shoes! Eleven is one of my favorite brands, I love that when they graduated out of the See Kai Runs the Elevens were there in the waiting. so cute...I would have to say the Aubin for my one of my boys. I love their shoes! The Simone boots are too cute!! oooh I love Oslo, Eleanor And Josef! so hard to choose! I love the versatile Maya. These shoes look so comfy. I'm going to have to try them out on my kids, Thanks!! I'd get the Nora boots for my little girl -- she loves boots! This would be a perfect gift for my new nephew! What a great site! Thanks for letting us know! OOh, I love the Astrid pair! Yes, I would love to win!!! Woohoo! I have been looking for a pair of dressy shoes for my little boy's pictures in Jan - he has a hilarious patchwork blazer that is going to look sharp in pictures :) I love the "Kai" but the "Aubin" probably goes better with the outfit!! Oh, there are too many cute ones...but I'll go with the Alexi because who can resist a pretty pair of red shoes?! My almost 5-year old fashionista would love them! The Pheobe! I love them and they would be oh so cute on my little girl! I love the Iggy's for my little boy! oh I love Astrid and Nadia. lovely shoes. I love Eleven shoes and just bought my son his first pair this fall. I would love the Aubin! Love them! My little boy would look so cute in the Aubin brown shoes. i'll be back here for sure ! My son would look so cute in the Aubin. Thanks for letting me know about these adorable shoes! Phoebe is my fave. So delightful! Love the Josie pair for my little one! Holy smokes those are cute! I really like all of them, but if I had to narrow it down to just one, I'd pick the Josef because my tot has so many clothes that have navy blue in them. Too cute. Here's to hoping we win! 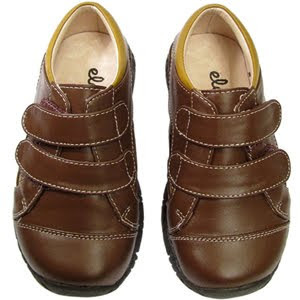 Love the Caper or Audin shoes for boys. Very cute! I would choose the Josef for my son! I like the Aubin, but I'm really digging the Caper for my little guy. I love see kai runs so I knew I would love these! My first choice for my girls would be the Astrid shoe. LOVE the gray and the style. Wish it came in my size. Second choice would be the Kasota. Pink and girly with a classic feel...awesome! I love the Astrid and Laura. But, for playing around the Kasota have my eye!! totally love the mary janes!! Oh, the Aubin for one of my two sons. Love the shoes! "Trevor" for one of my little men. Love the brown loafers. So cute! I would choose the Kasota shoes for my daughter. I love the Bridget pair. My two daughters would look so cute in any of those shoes. Thanks for introducing me to their site. The Iggys for Ian - he LOVES green. I don't know that I could pick just one! Love the Phoebe, Sylvie & Pixie for Girls - the Dublin, Caper & Luc for Boys. Do they make them for big people? It would be hard to choose. My favs are phoebe and mira. They are really cute shoes. Wow! All those shoes are beautiful. How would I choose? I do think my daughter would wear the cute Nora boots every single day if we won! I would love the Kasota shoes for my three year-old to run around in. She would go crazy for the pink. I am in love with the Luc shoes... maybe because I wish they had them in my size, but I think they would be adorable on my son. I like the "aubin" brown leather shoes. My son is in desperate need of some shoes like this. I love the Laura shoes! Ok, so i've been looking for boots for my little one & sooo love the dublin & the simone & if we are talking shoes love the mira. Love the Sylvie shoes...so cute! Thanks! My little man, Jake would love the Luc boots. He loves his rain boots and I know he'd love these too. thanks! I hope I'm not too late, but I'm totally digging the "Slyvie" shoes. Sooooo cute! I think my favorite are the Astrid style. Thanks!